This topic contains 10 replies, has 3 voices, and was last updated by Billy 4 years, 2 months ago. This man frightened the life out of me as a youngster when I saw this film for the first time just after the War. Can you tell me the name of this Actor- The name of the Movie this film still is from. – and the 1990’s movie it inspired. You’ve got me with this one Billy! Being a mere stripling of 67, this is way before I started going to the “flicks”, and it would have beeen years before I’d have been allowed to see something scary! Having no clue to go on I wouldn’t have any idea where to start researching. Hope someone else has better luck. This ones too easy. I’m going to make it a bit easier. He was known as a bit of a Pratt with no sense of humour. I’ve found two other stills of him in a turban and many in a Fez but neither of the two with the Turban, from the Film that I think you refer to. All will be revealed as the Actress said to the Bishop. George I dont agree with your general opinion of this actor I admit he didn’t play in any comedy films But he certainly dominated the screen with his prescence in all the spy thrillers I saw him in. As I said all will be revealed. Boris Karloff , him with no sense of humour, car loff, gerrit, was better known to his Mom and Dad, Mr. and Mrs. Pratt as William Henry. Known to us as Dr. Frankenstein, Fu Manchu, Scarface and the Grinch, William Henry Pratt aka Boris Karloff was born in Enfield England and made over 80 films plus television appearances. The film I think you’re referring to Bill, was The Mummy but that particular still, I think comes from a production called Bud Abbot and Lew Costello Meet The Killer. The only other still with him wearing a turban I can find is The Veil, A TV production that apparently was never shown. There is a site http://www.karloff.com run by his daughter. Now I know what you were talking about George But you a right out of the picture with this chap, who did though have a similar foreign sounding name to Karloff. It was said of this actor in 1937 his career in England took on a new dimension and for the first time he was allowed to appear as his own elegant immaculate self as a German spy in the film….. This film added to a special occasion in Wolverhampton in the year it was released. There you go another quiz question. Hi George after the above multitude of incorrect answers abve.I am going to put you all our out of your misery, and give you the answers. The actor in Question is Conrad Veidt.German born who later became a British Citizen. 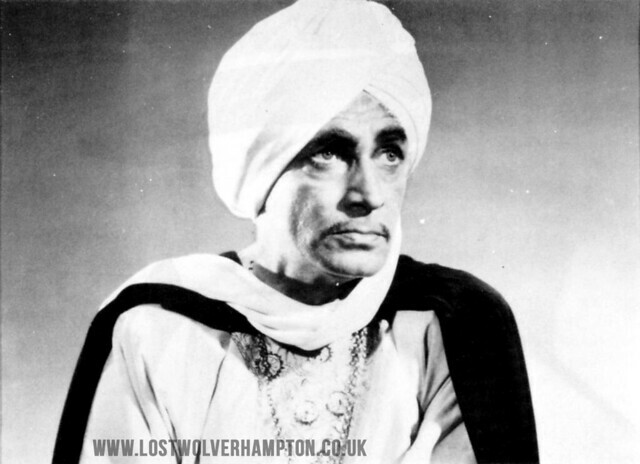 The film he is appearing in the film still: was The Theif of Bagdad (1940) with Sabu, playing the title role and Veidt, playing the evil vizier Jaffar. The special occasion in 1937, was the year his career took of in England when he played opposite a young Vivien Leigh, in the spy film “Dark Journey”. 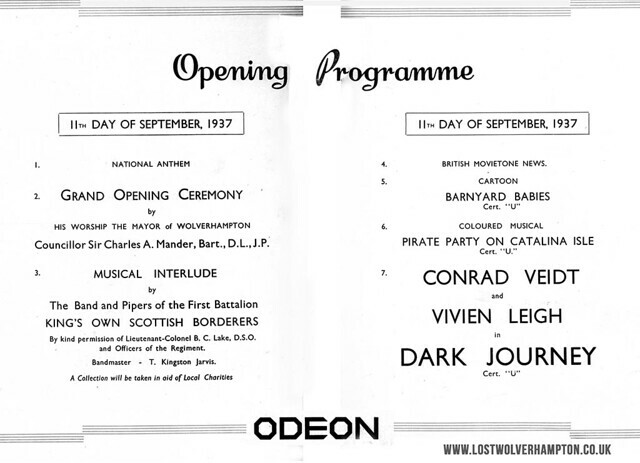 The film chosen to open the new Odeon Super Cinema in Wolverhampton. Just an interesting snippet for you Billy. Vivien Leigh was born Vivien Mary Hartley in the grounds of my old boarding school, St Paul’s, in Darjeeling – although some other schools in the area have tried to claim her as theirs!